Home » Church Goods » Statues / Nativities » Holy Family Statue 30" - 42"
Holy Family Statue 30" - 42"
This beautiful, full-coloured statue of the Holy Family is hand painted and hand carved in Linden Wood. 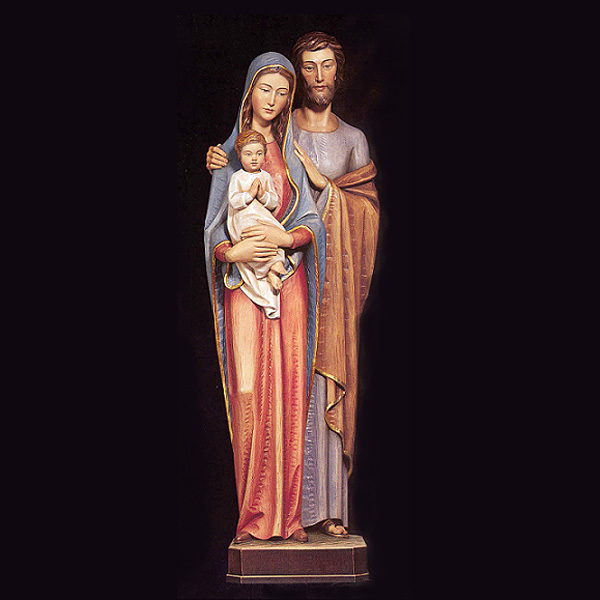 This piece shows Mary and Joseph standing, the baby Jesus in Mary's arms. Woodcarvings are also available in monotone stain or natural wax finish. For pricing on these finishes please contact us.